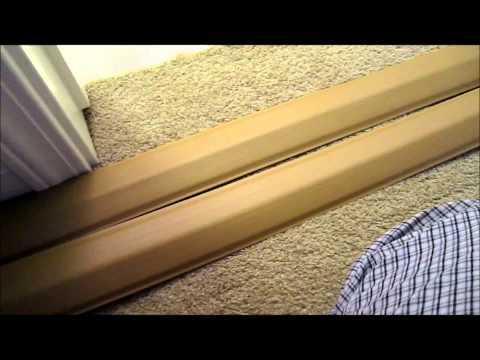 Is it ok to run an extension cord through PVC pipe? My son’s room only has 1 outlet. He needs power to the other side of the room where his night stand is. If we run the cord along the bottom of the wall it will have to cross a doorway. Our idea is to run PVC pipe up the wall, around the room, and down the opposite wall with the pipe attached to the ceiling. Is... show more My son’s room only has 1 outlet. He needs power to the other side of the room where his night stand is. If we run the cord along the bottom of the wall it will have to cross a doorway. Our idea is to run PVC pipe up the wall, around the room, and down the opposite wall with the pipe attached to the ceiling. Is this safe? Or is there a fire risk having an extension cord in a PVC pipe? It will not be inside the wall. Use Wiremold, it's a better way to run a surface chase and it meets electrical code. This is the wrong material. But never fear, because think wall steel conduit is just as cheap as plastic. There is also plastic conduit. But PVC is only for plumbing. It IS NOT OK to use an extension cord in place of permanent wiring. The ONLY proper remedy in the case you describe is having new outlets installed. This may require a new circuit, or it may be possible to feed them off an existing circuit. Instead, how about an efficient rechargeable LED light instead? If you really must run a wire, make sure it is rated to handle the current/wattage well. Most cords are 16 or 18 gauge. I would really suggest a thicker 14 gauge cord, but use the shortest one. 50 ft. 14/3 Outdoor Extension Cord is a good choice. If it was me I think I would get an electrician to run in a new or extended circuit as it would add value. Something like this would look a lot better than PVC and be just as safe. Probably not up to code would be my guess. My son’s room only has 1 outlet. He needs power to the other side of the room where his night stand is. If we run the cord along the bottom of the wall it will have to cross a doorway. Our idea is to run PVC pipe up the wall, around the room, and down the opposite wall with the pipe attached to the ceiling. Is this safe? Or is there a fire risk having an extension cord in a PVC pipe? It will not be inside the wall.